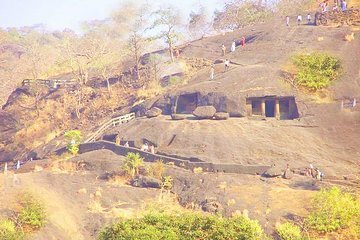 Visite las cuevas de Kanheri en el Parque Nacional Sanjay Gandhi en este tour privado desde Mumbai. Viaje a esta reserva de bosques al norte de la ciudad, y disfrute de sus paisajes y cuevas budistas, cortadas a mano en las colinas de basalto alrededor del 400 a. Dirígete hacia el interior para ver las estatuas de Buda, relieves, escaleras, viviendas y cisternas de agua; aprender acerca de los monjes que residieron aquí; y terminar con un almuerzo de restaurante. Incluye la recogida y devolución en el hotel de Mumbai, más las tarifas de entrada. Viaje privado al Parque Nacional Sanjay Gandhi desde Mumbai. Incluye entradas y almuerzo de menú en un restaurante local. Transporte privado con aire acondicionado, con recogida y recogida en el hotel de Mumbai incluida. Do not take this tour, its a steal of money. Also, it is not hard to get here and the entrance to the caves is less than 5 and the guide did not really add that much value to my experience. This was the best excursion of our 42 day cruise. It was a very hot day and the small newish air conditioned car was pure luxury. It was a national holiday and the locals were out enjoying themselves and we became a part of the scene instead of just being onlookers. We joined them and interacted with them as we climbed the mountains viewing the first university caves. The monks studied and lived here from BC. An amazing area. Our guide, Anra and driver Imrad were just wonderful introducing us to many of the local fruits, purchasing some for us to taste. We learnt of their uses and medicinal properties. They were a wealth of knowledge. Being two older ladies there were some steep sections of the climb which were challenging and we were encouraged and supported along the way - not just by Anra and Imrad but by the locals who stopped to chat and have photos taken with us. The park itself is extensive with many picnic grounds. Lunch at a local cafe with a selection of various Indian dishes capped off a wonderful experience. I have used Viator a number of time in the past in USA and UAE I had no problems. Ordinarily I never leave reviews as I don't find them useful and they tend to demonstrate banal praise or axes to grind. 1. I spent most of the tour in traffic. I probably spent about 1 hour out of a car and 3 hours in a car. Not good for an outdoor tour. This was mainly due to the very heavy traffic at the National Park. While the traffic is of course not the fault of Viator not informing prospective customers that the heavy traffic on a Sunday at the park is highly likely is the fault of Viator. Particular when the charge levied for a Sunday tour is higher. 2. 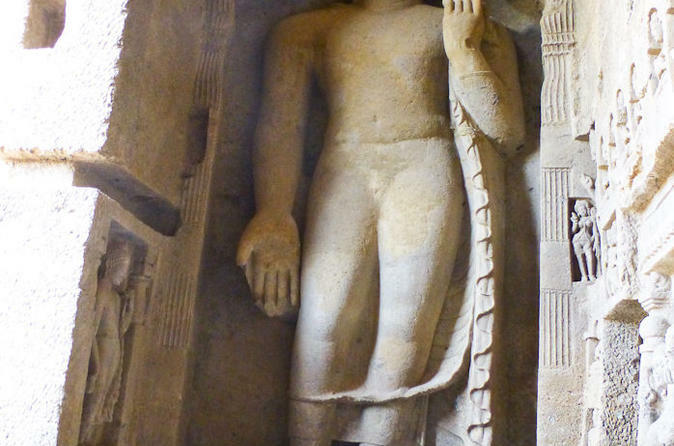 The tour guide, while a very pleasant man, didn't seem that interested or knowledgeable about the caves. 3. I felt as though I was being advertised to continuously about the other tours that Viator offered. I don't appreciate this particularly while I'm still on a Viator tour. 4. The tour included a trip to the Saga mall, which I didn't not appreciate. I chose this tour because I enjoy the outdoors. The trip to the mall was not mentioned in the tour literature and I strongly had the impression that someone was receiving kickbacks to take gullible tourists to buy some trinkets. I was particularly insulted by this cynical attempt. You will see that I have provided specific feedback on specific instances. I took a tour with a smaller Mumbai operator on Saturday and there was no comparison between the two. I expect far more from Viator.